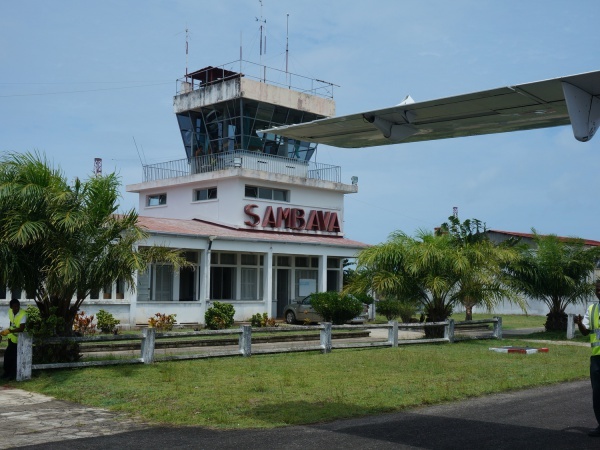 Sambava Airport is a small domestic airport located not far from the town of Sambava in the northeast of Madagascar. 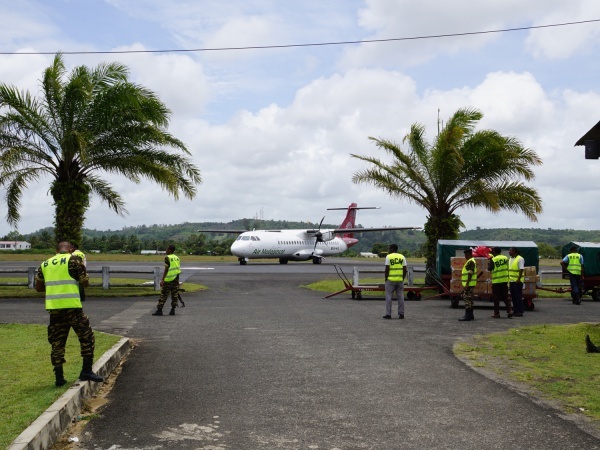 The airport is served by Air Madagascar and Madagasikara Airways. The airport has a small cafe which only opens about two hours before the departure of a plane. Near the airport in walking distance is La Paillotte - Chez Jo, a very nice and quite hotel with 5 bungalows. This page was last modified on 24 April 2018, at 16:24.